The tea belt is located in Terai and Dooars region of north Bengal where 3 lakh odd permanent workers are employed in around 300 gardens. 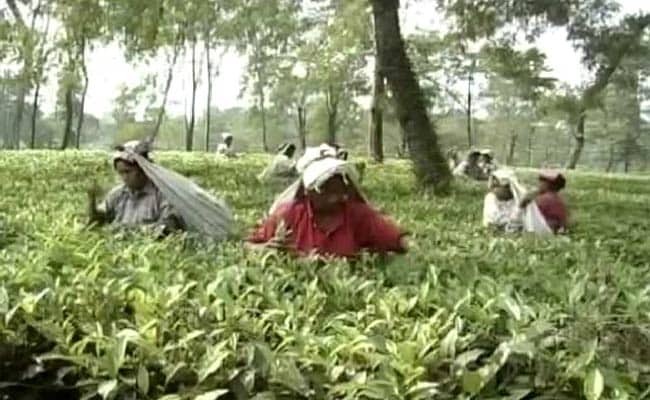 Non-fixation of minimum wages for workers and closed tea gardens are the main poll issues in West Bengal's tea belt where the Lok Sabha elections will be held in the first two phases. The Terai and Dooars region comprises Jalpaiguri, Alipurduar, Darjeeling and Coochbehar districts of West Bengal and a part of Assam. Polling in Coochbehar and Alipurduar seats would be held on April 11 while Jalpaiguri, Darjeeling and Raiganj constituencies would go to polls on April 18. Trade union leaders who owe allegiance to various political parties said they have been demanding implementation of minimum wages in the tea gardens for long but the issue has not been resolved. Tea industry sources said the issue was deliberated at length in the minimum wage advisory committee formed by the state government, but it has not been finalised. Submissions to the advisory board on minimum wage had been made by both the employers and trade unions, and now the ball is in the court of the government, the sources said. Ziaul Alam, convenor of the joint forum of 29 trade unions in the tea belt spearheaded by the CITU, alleged that the Trinamool Congress government "betrayed" the sentiments of the tea workers by not giving them minimum wages. Sources said the largest tea growing state, Assam, had also not decided on the implementation of minimum wages. "Taking a cue from this, the government of West Bengal has adopted a wait and watch approach," the sources said. Mr Alam said, "The overall economic situation in the tea gardens was not healthy and the workers were unable to strike a balance between income and expenditure due to rising prices of essential items of daily use." Presently, tea garden workers in West Bengal are given a cash benefit of Rs 176 per day besides other non-cash benefits such as ration. Mani Kumar Dhamal of the INTUC and Sankar Das of Bharatiya Mazdoor Sangh (BMS), the trade union wing of the RSS, also felt that non-fixation of the minimum wages for tea garden workers would be a deciding factor this time. The other major factor which could come at play at the polls is the issue of closed gardens. Mr Dhamal claimed that both the BJP and the Trinamool Congress had promised to reopen closed tea gardens but that did not happen. Sources said there were 16-17 closed gardens affecting nearly 24,000 employees. Mr Dhamal said, "In the absence of any policy, it is not known how the tea gardens will be reopened." This, he said, had cast a fear in the minds of the workers of these gardens and they have started migrating to south India and other places. "There is no job security in the tea belt," he said. Industry sources said, since the land on which the gardens are located was given on lease by the government and not freehold, it was difficult to implement land-based panchayat schemes such as the Indira Awas Yojana. TMC's Darjeeling candidate Amar Singh Rai said minimum wage is definitely an issue which needs to be resolved. "The tea garden workers are in distress and there is a need to fix the minimum wage," he said, adding that he would raise the issue in the appropriate forum, if elected. Das claimed that the mood is in favour of the BJP now as the party had done a "good job" in Darjeeling. In the last Lok Sabha polls, S S Ahluwalia of the BJP won from the Darjeeling parliamentary constituency with the backing of the Gorkha Janmukti Morcha, the major local force. This time the saffron party fielded Raju Singh Bista, a Gorkha businessman from Manipur.